As anticipated, news broke early this morning across Europe regarding the next big release out of Hannover. All I can say is prepare to hear the sound of jaws dropping. Today we have the Pelikan M800 Stone Garden Special Edition and, if the product shots do it justice, it looks to be a gorgeous fountain pen. Of course, given the inconsistent track record of Pelikan’s product photography over the last several releases, we’ll have to reserve judgement until we can see some real world pictures. Still, there is a lot of promise here. This model follows closely on the heels of the M205 Olivine which just recently entered retail channels and the much more limited Raden Royal Platinum. The promotional literature for the Stone Garden states; “Rock gardens are known for their soothing effect. The new special edition Souverän M800 Stone Garden absorbs this atmosphere and offers tranquility in daily chores.” It is anticipated to be available around mid-October. 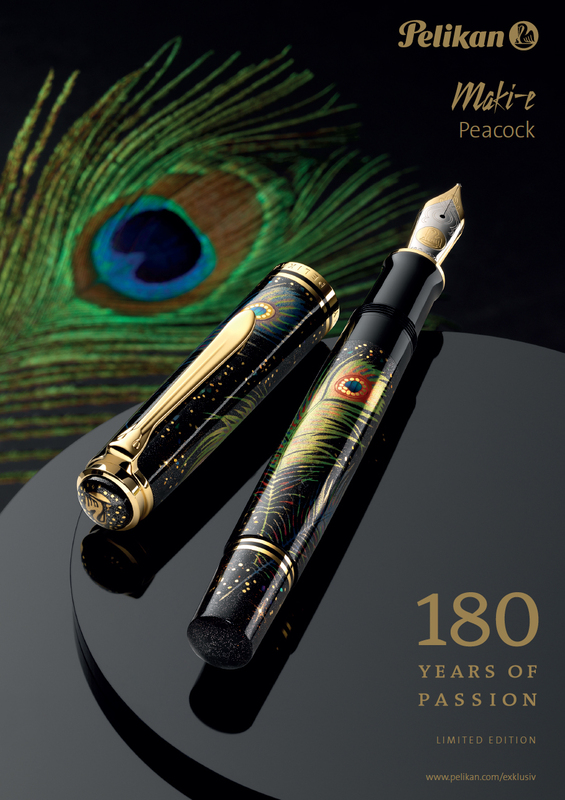 Over the past few years, Pelikan has begun to more consistently bring us new limited edition Raden releases. It should come as no surprise then that a Raden model would be in the works for this year, a year in which the company is celebrating a historic anniversary. What does one give as a gift for a 180th anniversary? While there aren’t any well established customs for such an occasion, something in platinum seems a fitting choice. 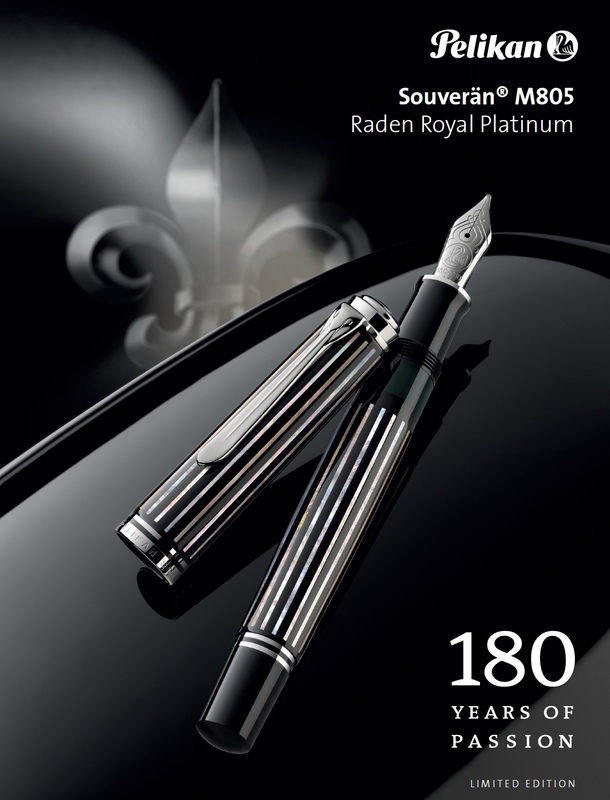 Perhaps that is why Pelikan has chosen to give us the M805 Raden Royal Platinum. 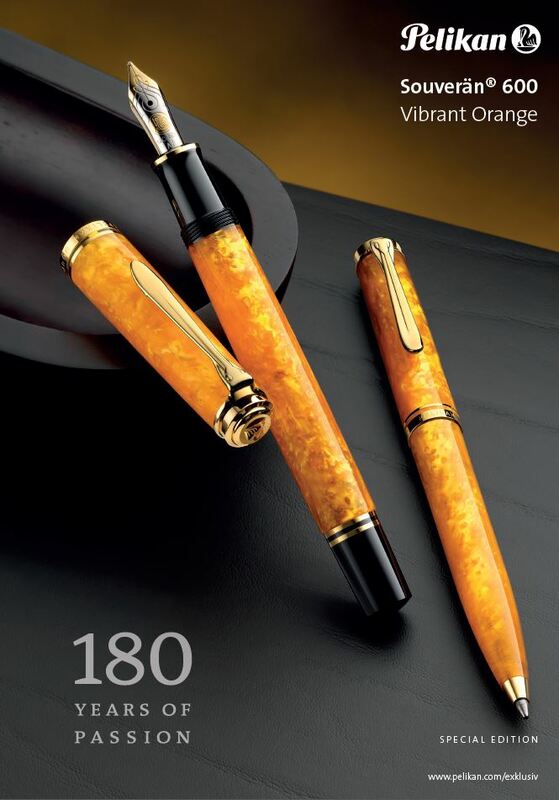 For those new to the hobby, pens done in a Raden style employ a traditional Japanese art whereby finely ground abalone is embedded or glued onto laquer-coated surfaces. The result is an inlay that shines with a rainbow of colors when struck by light. This year’s release will make a worthy addition to the models that preceded it. These include the Kyokko & Gekko (2005), Moonlight (2011), Sunlight (2013), Starlight (2014), Sunrise (2016), and Royal Gold (2017). It would seem that the Royal Platinum is the kindred spirit to last year’s Royal Gold. The design and finish appear to be the same with one in silver tones and the other in gold. I suspect that many owners of the Royal Gold will be clamoring to add this one as a companion piece. It had been widely anticipated that we would once again see an M2xx release mirroring this years Ink of the Year though doubts had started to grow. For the past three years, announcements have come anywhere from late June to early July but always on a fairly consistent timeline. It now being early August, you can imagine the angst this has generated. Fret no more because today we have been given a glimpse of the upcoming M205 Olivine Special Edition Demonstrator as previewed by the Instagram account of H&S KIRTASİYE. The Olivine will join past special editions including the M200 Smoky Quartz (2017), M205 Aquamarine (2016), and M205 Amethyst (2015). 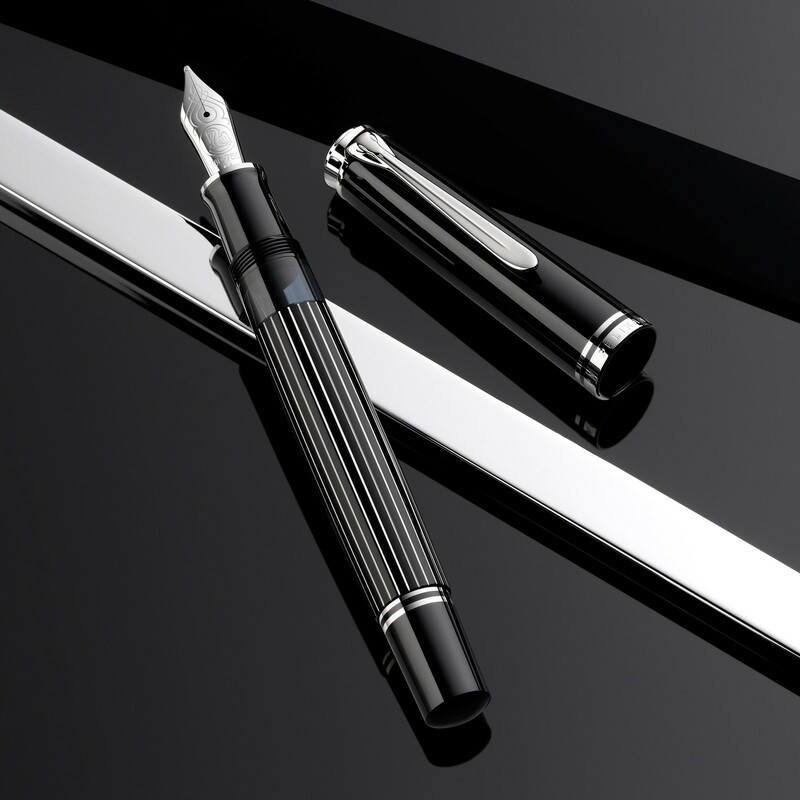 Last years M200 was a departure from the prior releases and it appears that Pelikan has once again returned to the M205 trim style which is characterized by chromium plated furniture that has a silver appearance. Details remain sparse and I’m sure that we will learn more in short order. I would imagine that pre-orders will be available from your preferred retailer in the coming weeks and I would expect this one to be available sometime around mid September. With the closing of the registration period (extended an extra week due to high demand), we now have a pretty good sense of Pelikan’s Hub locations for 2018 as well as the number of registrations at each location. The analysis that follows is derived from data taken from Pelikan’s Hubs page (as of 7/23/18 at 9:00pm EST) and should not be taken as absolute since it is subject to some fluctuation between now and the big event. Still, it gives us a significant insight into how this fifth anniversary event is shaping up. Most of the cities that participated last year are again included in this year’s festivities with at least two dozen new cities added to the roster, a roughly 23% increase. The Hubs event continues the steady trend in annual growth that we’ve seen year after year. Each year has been larger than the one before with more countries, more cities, and more people participating. For 2017, Pelikan reported that there were 145 individual Hubs spread across 43 countries with 3600 registered participants. Based on the currently available data, this year’s event will span 178 cities spread out amongst 44 countries with over 4700 participants. Thus far, that represents roughly a 31% increase in attendance over last year and an astounding 425% increase since the inaugural year. Whereas events were few and far between the first year, the access that fans now have to a local Hub has grown exponentially. The United States is again host to the largest number of registrations with Canada, Australia, Taiwan, and Germany rounding out the top 5. This year’s gathering is set to take place on Friday, September 21, 2018 at 6:30pm local time with Pelikan expected to release additional details about the event as we get closer to the date. If you cannot attend this year’s event, you can easily follow along with the world-wide festivities via the hashtag #pelikanhubs on the various social media sites. To further synthesize the data, I’ve developed a series of maps and graphs to help depict the information. Read on to see what cities are involved and to learn about how your location stacks up with some of the others. 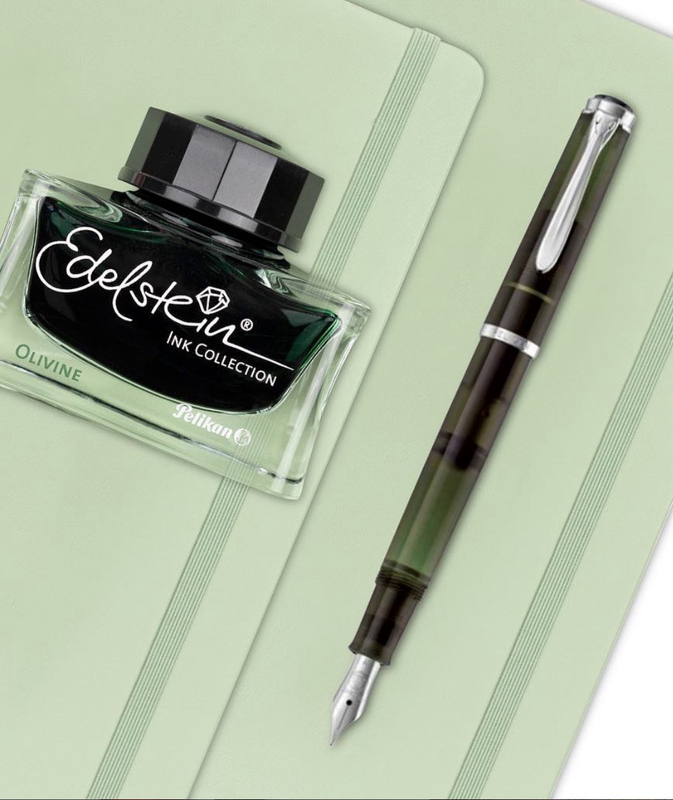 News of two new Pelikan fountain pens in one day can only mean trouble for your wallet or purse. Following closely on the heels of this year’s Maki-e release, the Peacock, we also learn of the next model to come out of Hannover courtesy of Penworld. This one is known as the M815 Metal Striped special edition. 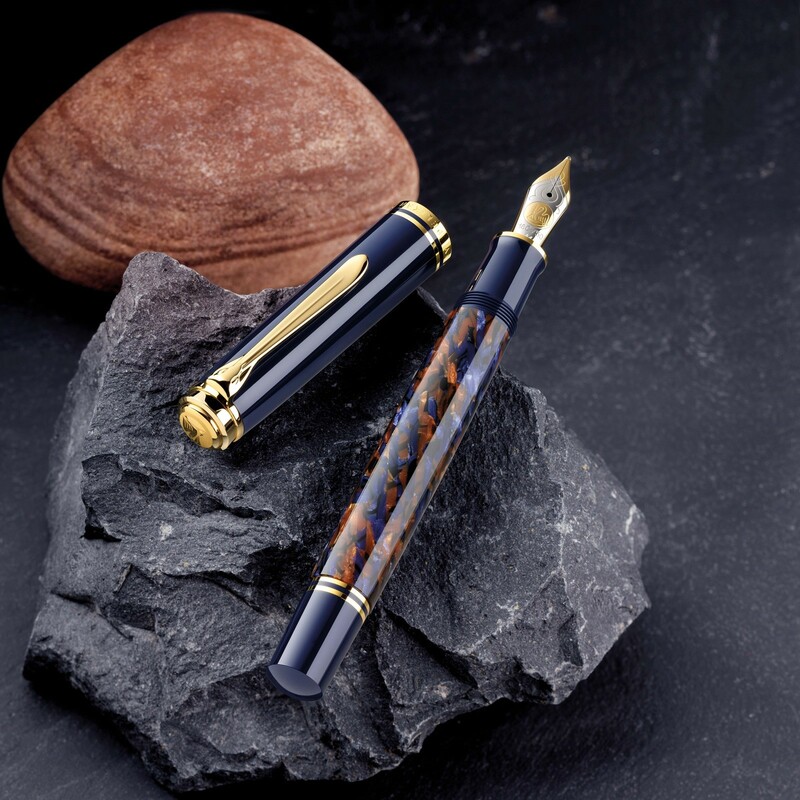 The last pen to utilize the M815 nomenclature was the Wall Street limited edition from 1995. Refreshingly, this years model brings something new to the table while still preserving a comfortable familiarity. The M815 is adorned with metal stripes reminiscent of the well established Stresemann pattern. I’d wager that this is one of those releases that we had all hoped for from the company, something commensurate with their 180th anniversary.